If you are unsure about any of these specifications, send through an email and we can help you the best we can. The more information you provide about your order, the quicker and easier it is for us to provide you with an accurate quote and order. If you wish to make any changes to your order it is best to do it before Stage Two and notify us as soon as possible. You may be charged extra if you wish to make any changes after signing off your order at the end of Stage One. If you have received a quote from another company and want us to match it, send through the quote you’ve received and we’ll see what we can do. Note: The quote must be a legitimate business quote with the Business’ ABN with GST included. Our maximum print size is 42cm x 48cm. 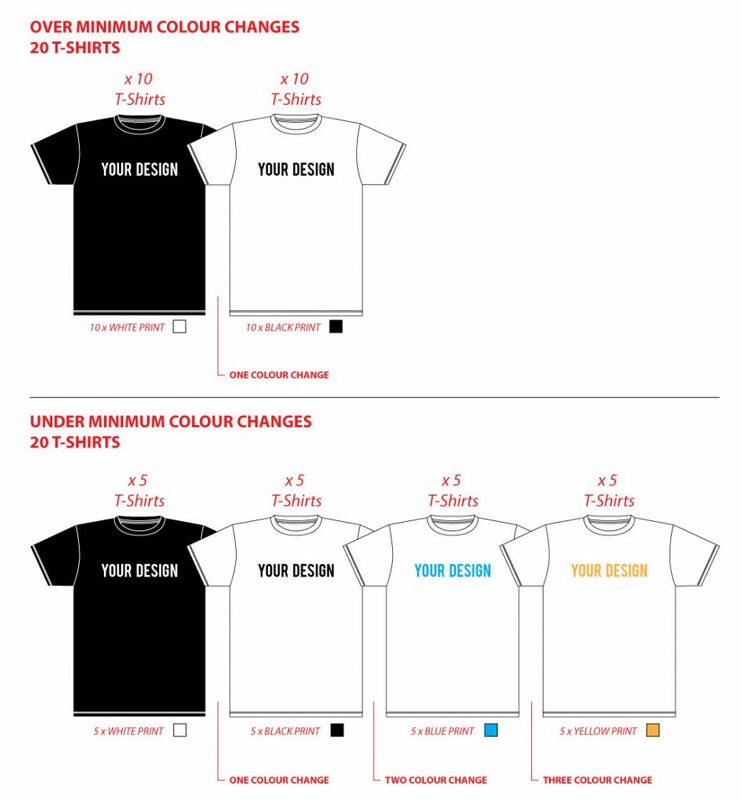 When printing over a wide variety of garments including kids, mens and womens, you may need to consider multiple set-ups to account for the different size garments. If you’re unsure about this, send us an email and we can help you determine the best size and most cost effective option for your designs. All Files must be 300 DPI or a Vector File. Preferred file types are .PSD, .TIF, .EPS, .AI, .PDF, and .JPG. Designs should be sized to print. 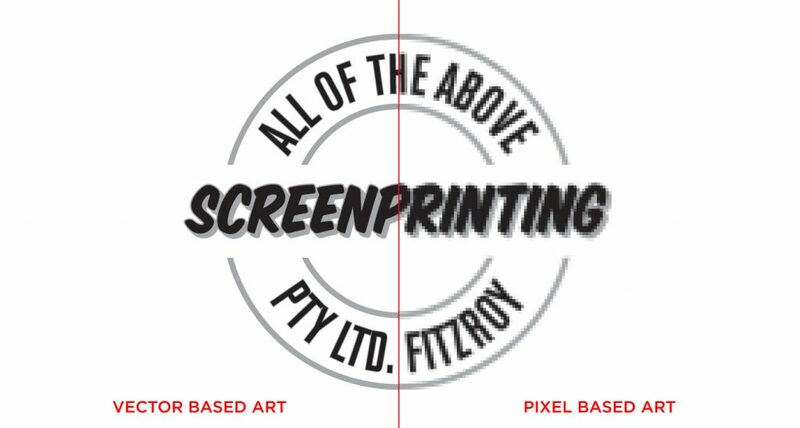 Please flatten all layers and ensure all texts are outlined before sending your artwork. Before sending through your artwork it is best to check that the image size is correct and the resolution of your artwork is 300 pixles/inch (dpi). 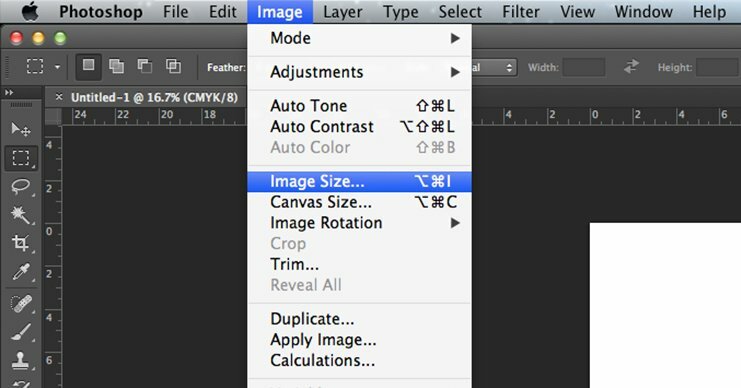 To do this open your designs in photoshop and select ‘image’ from the top menu bar and click on ‘image size’. This will then show you the size of the image and the resolution. Your artwork should be created at 300 dpi and at the actual print size, otherwise you run the risk of your designs being low resolution. Note: If your artwork is created at 72 dpi, bumping it up to 300 dpi doesn’t necessarily mean the image will be high resolution afterwards. If you don’t know how to check or aren’t familiar with any of these terms contact us and we will assess your artworks. Like anything if you start with poor quality artworks, you’re most likely going to end up with a poor quality print. Orders cannot be started until we have usable artwork. If your artwork is a vectorised illustrator format (.ai/.eps/.pdf) the print size and resolution doesn’t apply. 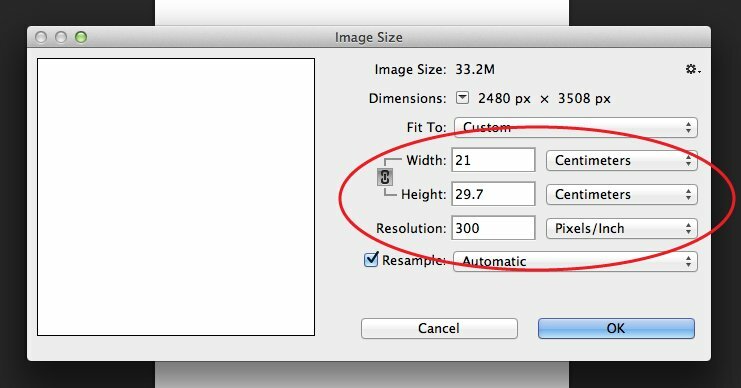 (Placing a .jpg file into illustrator and exporting it as a .pdf isn’t considered as a vector type file). If your designs contain gradients or complex detail (such as photographs), halftones are a great solution. 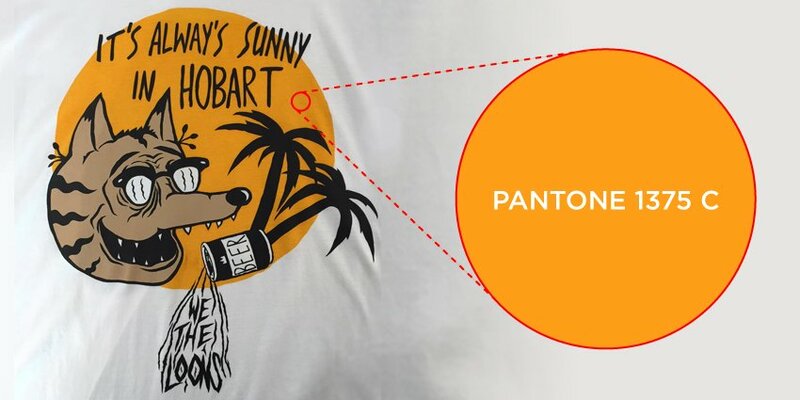 Halftones are created in house by our Graphic Designer, they are when the image is made up of small dots blended into the printed design, rather than solid blocks of colour. The dots vary in size and space to create the effect of smooth, full-colour imagery. Note: Your image will loose some detail when printing with halftones. Minimum print run is 20 units per design. This can be mixed up into tees, singlets, hoods etc. but the design has to be the same. Anything under 20 units (6-19) is charged as under minimum, which is double the price per print. Our regular turnaround time is 2-3 weeks from receiving the 50% deposit and approval of your orders job sheet. If you wanted to book in a job and pick it up under this time, a 25% rush fee is applied to guarantee the jobs completion by the due date. If you’re unsure whether or not your job falls under the regular turnaround time, send through an email and we’ll be able to help you get your job sorted and ready by its desired completion date. 1. We can match the colour as close as possible from what we see on the screen using our Pantone Solid coated and uncoated colour books. 2. You can come in and we can help you pick the right colours for your design from our Pantone Solid coated and uncoated colour books. 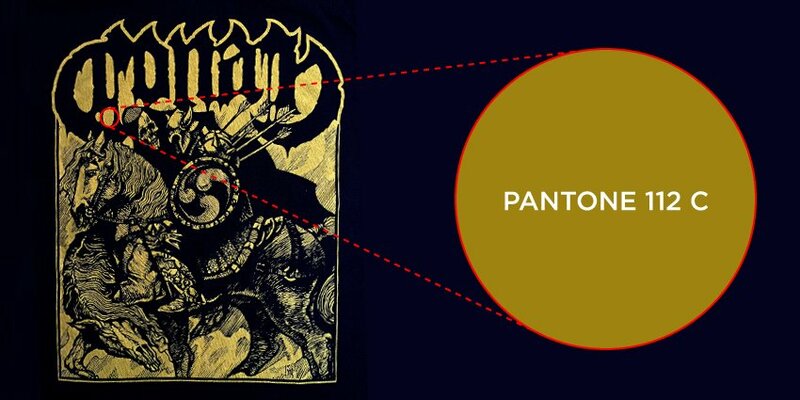 It is important to note that Pantone (PMS) Colours will vary from monitor to swatch book to the mixed ink. As this is something we can’t control we have a tolerance of 5% variance from the Swatch book. If you have a previously printed garment and want us to match a Pantone (PMS) colour is would be advised that you bring in a sample for our reference. Due to the nature of Waterbase and Discharge printing, it isn’t possible to 100% match colours printed to the pantone colours used. Certain garment brands, colours, and fabrics perform better with these ink types than others – if you would like to know more or discuss the best options please send us an email. Colour changes are charged at $10 p/colour change, anything less than 10 units per print colour will be $20 p/colour change. 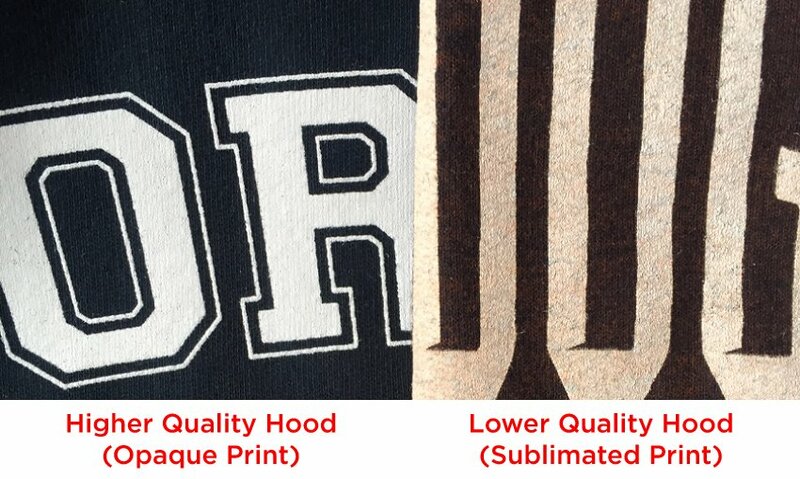 Hoodies are one of the more difficult garments to print on, listed below are a few examples of some issues to be aware of when printing hoodies. Double lined hoodies can only be done as screen print transfers. This is because they slide around on the press so we cannot accurately register multiple colours. Pockets on hoods have to be glued down to print over them. Because of this, when you receive your garments, they may still have some of the glue spray in the pockets. This should wash out after one wash.
We do have special pallets that have indentations for the zipper and pocket seams, but not every sweatshirt is exactly the same. When you print over these portions of garments, it creates a gap in the print where the ink in the screen does not hit the shirt due to the ridge caused by the seam. For this reason, we do not recommend printing over-the-zipper. We don’t recommend printing over the seams as it can throw the registration off. 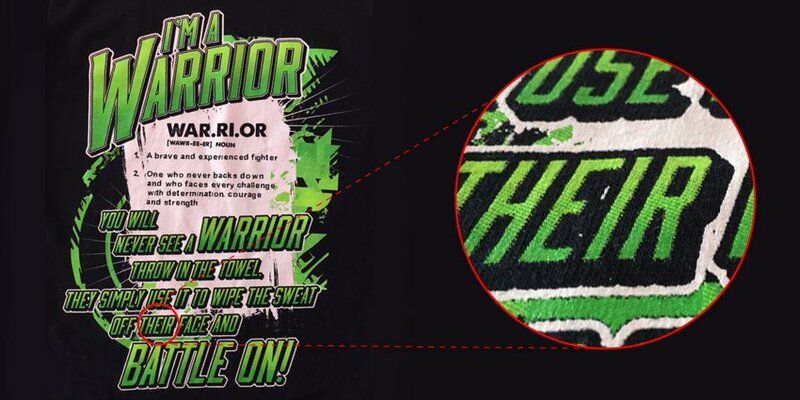 You may see white poking out from under the design. Hoodies are made with thick fabric and soak up a lot of ink. The colour of the sweatshirt will often times influence the ink colours. To get the highest quality print, we recommend using a 100% cotton or 80/20 blend. The quality of the hood used may influence the final printed design, poor quality hoods can be harder to print on and sometimes cause the printed ink to sublimate and not print as solid as a higher quality garment. As a result of the issues listed above, we incur a small ‘Hoodie Surcharge’ per print on hoods and fleece garments, this is to account for the extra time used in printing as well as the extra materials used in to process of setting up the job.